Dirk - the driest warm dessert on our planet. Georgia - That is Dirk Schulze-Makuch and his line of work takes him to the most extreme environments on Earth. Dirk - It’s very intriguing because there’s not trees, there’s no plants, so if you were there it feels kind of very different. Where you and I come from there’s all the time plants and animals and so life is everywhere around, and there it is not. You just have rocks and mountains and once in while you feel the wind on your skin and that’s it. Georgia - Dirk and his team had a big trip planned to go and get samples from one of the driest places on Earth. It goes decades without a single drop of rainfall and then, just before they arrived yep, it rained. Dirk - Yeah, we thought “shoot!”. We prepared months for it for sampling the driest spot on Earth basically and then it rains there before. First we thought it was bad luck, but it turned out to be good luck because of activity of the microbes and two later years these samples went down, so the organisms became dormant again. Georgia - Previously, the small bits of life discovered in the Atacama were thought to have ridden in on the winds only to end up dying then but when the rains came, this dry desert came to life suggesting that certain things can survive there after all. Dirk - Mostly bacteria, but we found also viruses, fungi, and archaea, so quite a bit but most of it was bacteria, especially in the most driest area. Georgia - You’ve gone along to one of the driest places on Earth where we previously didn’t think things could survive there. What you found there suggests they can so what does this mean, what implications does this have? Dirk - Well, it has direct implications also to Mars because Mars had oceans on its surface early on, about 4 billion years ago, and got drier and drier with time and so Mars still has its moisture events though. You have sometimes fog, you have near surface groundwater, you even have an occasional nightly snowfall or microburst there so there are ways you get moisture on Mars as well. Now the question is: Mars is still a tick harder, so can life still handle that? 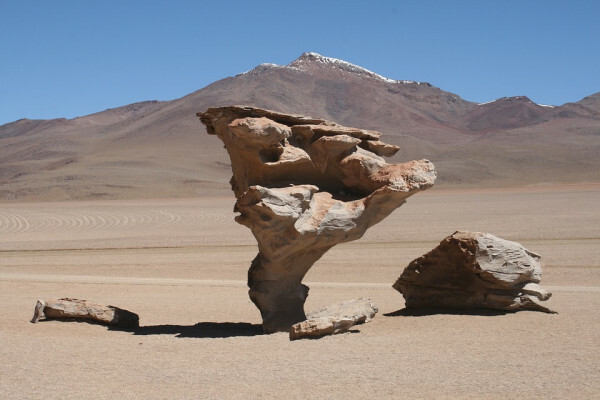 Of course, in the Atacama they’re just barely hanging in so can they handle much more? - we don’t know. But looking at the creativity and innovation of evolution, I’m slightly optimistic that this is the case. Georgia - So you think there’s more hope then that we might actually find something that’s either dormant or living on Mars? Dirk - Yeah, I’m pretty confident. Once you had a biosphere on a planet and I think Mars had one. It would be very difficult to wipe it all out - it’s like infestations - you have a difficult time to get rid of it, life just wants to hang on.